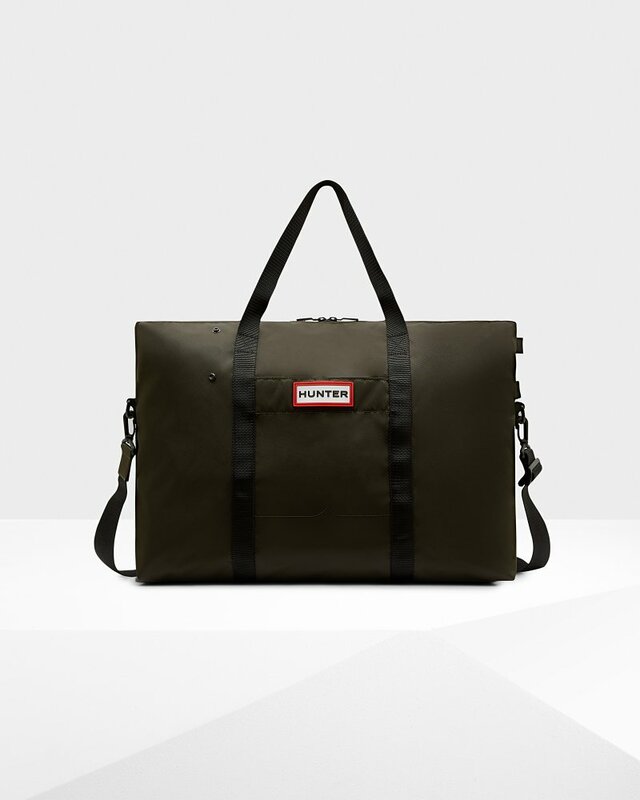 Original Nylon Weekender is rated 4.4 out of 5 by 9. Set the mood for a getaway with the Original Nylon Weekender in dark green. This smart and spacious water-resistant bag offers a carry handle, shoulder strap, internal and external pockets and a total capacity of 41L. When not in use it packs into itself for simple storage - perfect for last minute adventures. Rated 5 out of 5 by MICHELE from The weekender bag is great! Nice size and very spacious! The price was reasonable too! Rated 5 out of 5 by Amy from I am very happy with my weekender bag. It is sturdy and well made. It holds a lot too. Rated 4 out of 5 by Phyllis from I thought it would be a little stronger. I'm taking this on a trip and the baggage handlers will toss this bag around. I will see how it fairs, with themtossingit about. Rated 5 out of 5 by Holly from MWAH...these are lovely! Please see earlier review.